Alzheimer's Reading Room: What is Alzheimer's Disease? What are the Nine Types of Dementia? What is Alzheimer's Disease? What are the Nine Types of Dementia? Alzheimer's disease is a physical illness that causes radical changes in the brain. 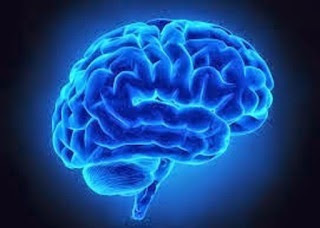 As healthy brain tissues degenerate persons living with Alzheimer's experience a steady decline in memory and the ability to use their brain to perform tasks. What’s the Difference Between Alzheimer’s and Dementia? In a nutshell, dementia is a symptom, and Alzheimer's disease is the cause of the symptom. When someone is told they have dementia, it means that they have significant memory problems as well as other cognitive difficulties, and that these problems are severe enough to get in the way of daily living. Alzheimer's disease is a physical illness that causes radical changes in the brain. As healthy brain tissues degenerate persons suffering from Alzheimer's experience a steady decline in memory and the ability to use their brain to perform tasks. Dementia is a an illness that usually occurs slowly over time, and usually includes a progressive state of deterioration. The earliest signs of dementia are usually memory problems, confusion, and changes in the way a person behaves and communicates. Dying for the Alzheimer's patient is marked by little if any verbal output, complete dependency in all aspects of daily living, and the complications of brain failure, which include episodes of aspiration, urinary tract infections, fevers, skin breakdowns, and more than ten percent loss of body weight.